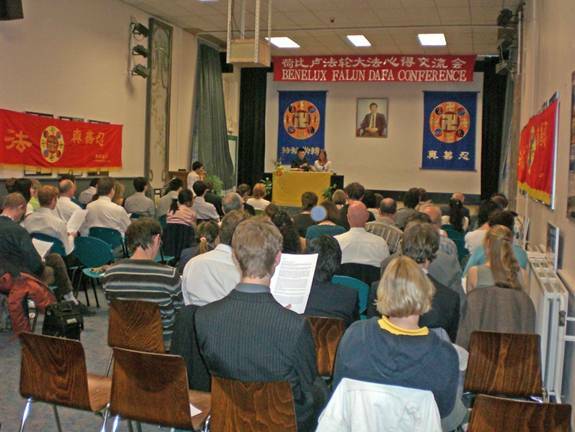 On May 27th, 2007, the third HBL Falun Dafa experiences sharing conference was held at the famous St. Michael’s School in the capital of Belgium, Brussels. Practitioners from Holland, Belgium, France and Germany attended this sacred conference. The practitioners, with all their hearts, arranged the conference site and created a dignified and harmonious setting. The banner, “HBL Falun Dafa experiences sharing conference”, was hung at the top of the podium. Master Li’s photo was hung at the centre. Two MCs, in four languages - French, Dutch, English and Chinese, announced the third HBL Falun Dafa experience sharing conference to be open. Eleven Chinese and Western practitioners shared their experience of cultivation and raising awareness about the persecution. Articles for the conference were also prepared in four languages. The first speaker was Nele, a high school teacher from Belgium. She spoke of how personal cultivation has positively affected her work and life. She lets students know about the persecution in different ways through their school work and lets children in her own family learn about the practise and in some cases to cultivate. 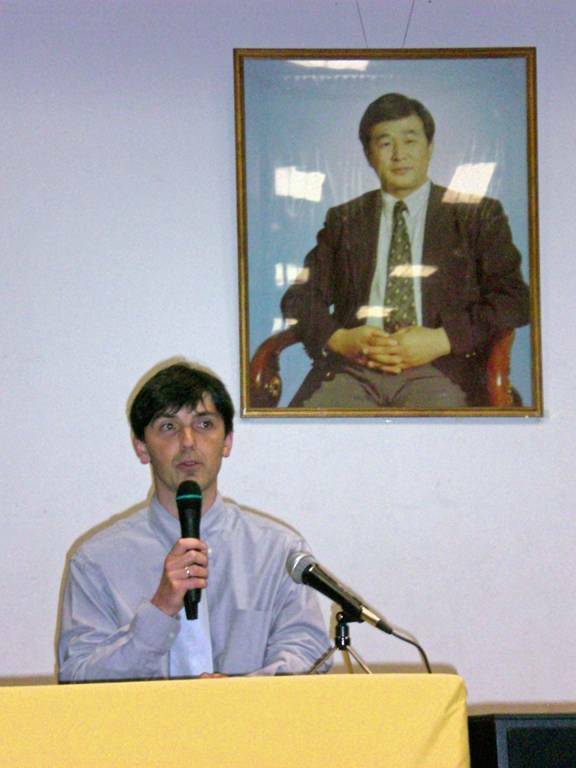 Philip spoke to everyone about how he helps to expose the persecution in Parliament and exposes the crime that the Chinese Communist Party (CCP) harvests organs from living Falun Gong practitioners in China. He discussed how he harmonised his family life with his cultivation. Thomas, a fifteen year old middle school student, began to practise with his mother's help two years ago. He shared how he told his teachers and his schoolmates about the persecution of Falun Gong, and gets their respect and trust. Xiao Bai, a Masters student, began to practise Falun Gong before the persecution. She spoke about how she returned to cultivation after she came to Europe, as well as her cultivation experience when she tells the truth to Chinese people and persuade them to quit CCP. 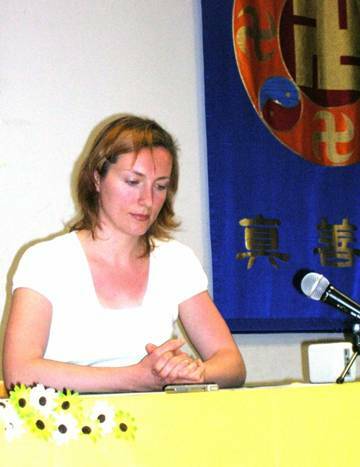 Inge, a new practitioner, shared her happiness at beginning to learn Falun Gong after looking for so many years. She said that she accepts and believes in what Master has said, although she does not really understand the significance of Fa rectification and she cannot completely understand some of the contents. Ms Marion thoroughly exchanged her own experience how she goes through the test of lust. Jasper, a practitioner from Holland, narrated his experience during the time he made films for New Tang Dynasty TV Station, as well as his experience in doing the three things. 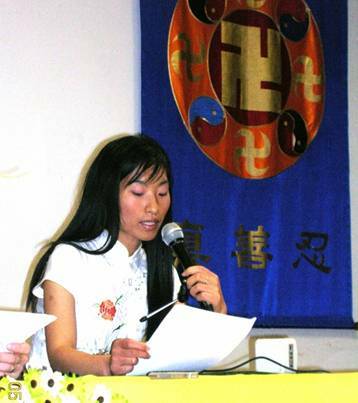 Ms Deng told how, from the beginning of cultivation, she went through the test of sentimentality step-by-step through study of Falun Gong's principles and cultivation and participated in different projects to save sentient beings.